The main impact of the vulnerability is remote code execution. At this time, we are aware of targeted attacks attempting to use this vulnerability. The exploit targets IE6 and IE7. IE8 and IE5 on Windows 2000 are not known to be affected, but security company Sophos has graded the threat level as “critical”. Browser exploits are never good news for a vendor, but the timing of this discovery is particularly problematic for Microsoft. The company has embarked on a huge IE publicity campaign to counteract user migration following the introduction of the EU browser choice screen. 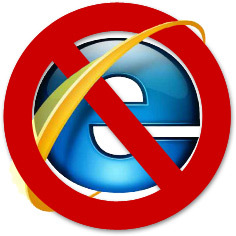 Looking on the positive side, the exploit may persuade some users to upgrade to IE8. Although few users know which version they’re running — they could abandon the browser altogether. However, it’s more likely that most IE users will carry on surfing and are totally oblivious to any problems! If you depend on IE6 or 7 you can always disable scripting. Again.